Located in the Adriatic Sea, the Tremiti Islands of Italy sit just 22 nautical miles off of the Garano Penin Garano Peninsula form the Garano National Park. 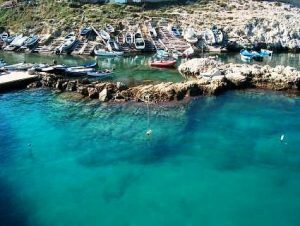 These islands, also known as the Pearls of the Apulian Adriatic Sea, are just waiting to be explored on a yacht charter out of Bari, Italy. 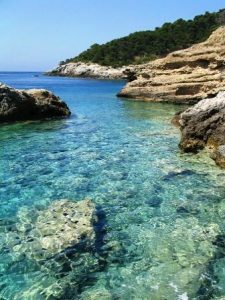 And the intrepid and well seasoned sailors can cruise the Tremiti Islands and then continue across the Adriatic on their yacht charter to cruise along the coast and through the islands of Croatia. 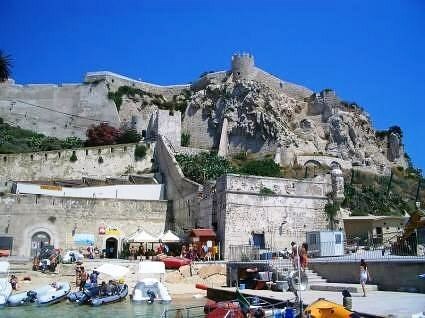 Tremiti is from an ancient word for “tremors”, as these islands are all volcanic in origin. Rising out of the Adriatic Sea, they are surrounded by beautiful clear waters. Now a tourist destination, this group of five main islands and numerous crags peaking out of the water’s surface, has had a varied history including being the location of internment for both Julia the Younger, Augustus’ granddaughter during Roman times and for political prisoners of Mussolini in the 20th century. 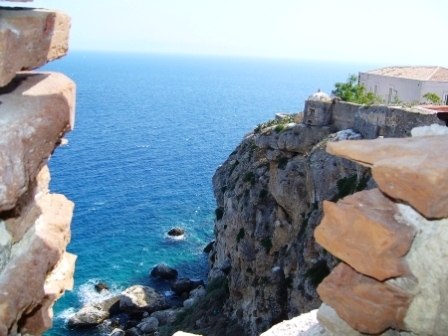 Of the five main Tremiti Islands, San Domino, San Nicola, Caprara, Cretaccio, and Pianoso, only San Domino and San Nicola are inhabited. San Domino is the most visited today by tourists as this island has the only sand beach in the whole island group. San Domino is also a beautiful island, covered in vegetation including blooming myrtle, and geraniums. 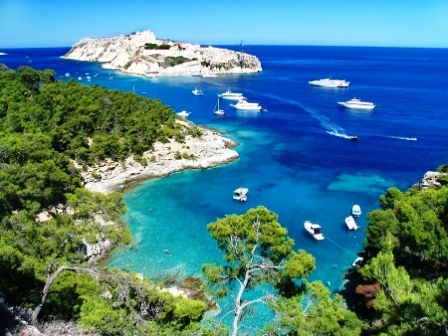 Although the largest of the Tremiti islands, San Domino can still be walked across in 20 minutes. San Nicola is where the bulk of the population of the Tremiti Islands resides and has the only year round inhabited village, along with a monastery, once home to the monk Nicola, where his remains are buried. Legend states that anytime the remains were tried to be removed from the island a huge storm whipped up from sea foiling the attempt. San Nicola is a rough and craggy island with a wilder feel than San Domino. An extensive fortified castle and abbey form an impressive silhouette against the rocky cliffs, and are open to visitors to be explored. 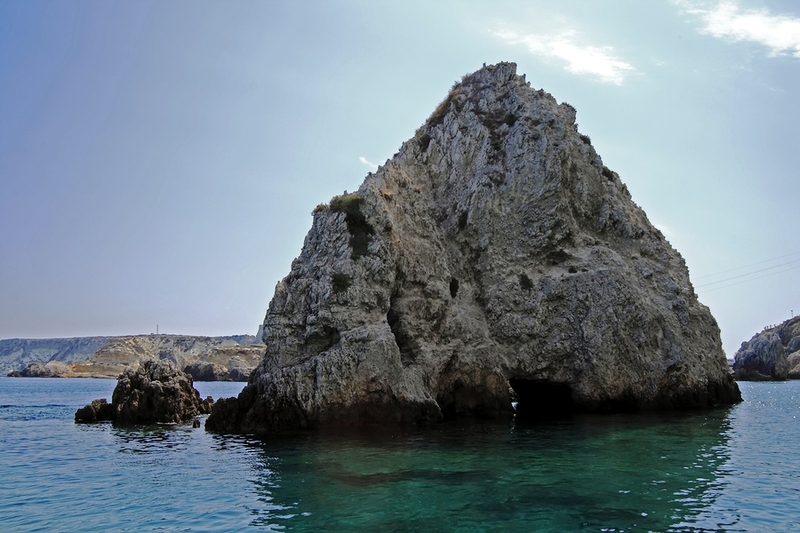 Caprara Island is the furthest from the coast of Italy and is covered with caper plants. Cretaccio is a big block of clay, with no vegetation and Pianoso is so small, as the name suggests that sometimes during storms, waves wash right over the highest point of this island, which is just 15 meters from sea level.